Every Spring we move our clocks one hour ahead and ‘lose’ an hour during the night. But Daylight Saving Time (there’s no ‘s’ on the ‘Saving’ ) wasn't just created to confuse our schedules. The modern version of this practice was first proposed in 1895 by New Zealand entomologist George Vernon Hudson – though early inspiration can be traced back to Benjamin Franklin’s proverb, "Early to bed, and early to rise, makes a man healthy, wealthy and wise" and his anonymously published letter suggesting that people in Paris, France save on candles by taking advantage of morning sunlight by rising earlier. Many countries around the world currently use Daylight Saving Time, though details vary by location. In most of the United States, at 2 a.m. on the second Sunday in March we set our clocks forward one hour ahead of Standard Time (“Spring forward’). 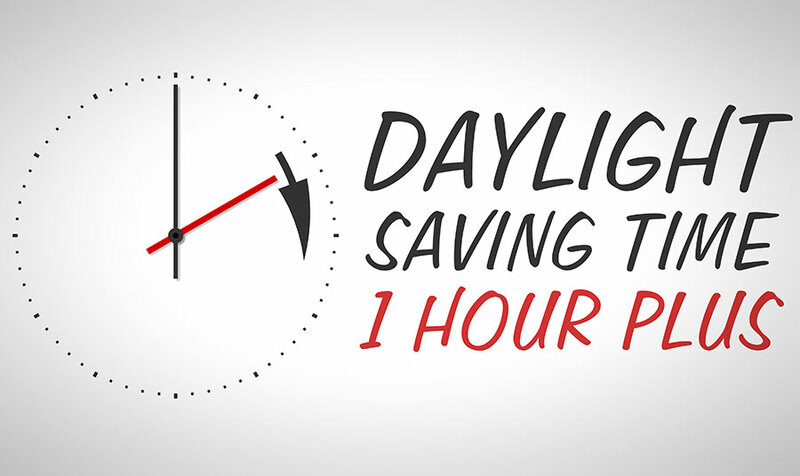 The change to Daylight Saving Time allows us to use less energy in lighting our homes and businesses by taking advantage of the longer and later daylight hours. During the eight-month period of Daylight Saving Time, the names of time in each of the time zones in the U.S. change as well; Eastern Standard Time (EST) becomes Eastern Daylight Time, Central Standard Time (CST) becomes Central Daylight Time (CDT), Mountain Standard Time (MST) changes to Mountain Daylight Time (MDT), Pacific Standard Time becomes Pacific Daylight Time (PDT), and so forth. Daylight Saving Time was instituted in the United States during World War I in order to save energy for war production by taking advantage of the later hours of daylight between April and October. During World War II the federal government again required the states to observe the time change. Between the wars and after World War II, states and communities had the option to choose whether or not to observe Daylight Saving Time. Arizona (except in the Navajo Nation reservations), Hawaii, Puerto Rico, the U.S. Virgin Islands, and American Samoa have chosen not to observe Daylight Saving Time – for territory closer to the equator, not observing the time change makes the most sense, as the days there are more consistent in length. Since 2007, Daylight Saving Time has been four weeks (sometimes 5 weeks!) longer due to the passage of the Energy Policy Act in 2005. The Act extended Daylight Saving Time from the second Sunday of March to the first Sunday of November, with the hope that it would save 10,000 barrels of oil each day through reduced use of power by businesses during daylight hours. The practice of the time changes has a long history of controversy; the claim of energy savings is one of the most common points of contention as it is exceedingly difficult to determine energy savings from Daylight Saving Time and based on a variety of factors, it is possible that little or no energy is saved by the time change. Adding daylight to afternoons benefits retailing, sports, and other activities that take advantage of sunlight after working hours, but causes problems for farming, evening entertainment and other occupations tied to the sun. It has been noted that traffic collisions and fatalities are reduced when there is extra afternoon daylight; however its effect on health and crime is much less clear. And that’s the skinny; thanks to www.about.com for this info!